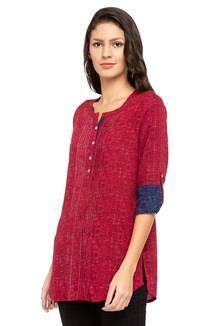 If you are in search of a classy kurta, then check out this one from Sanaa. It features a print pattern that is the main attraction, while the roll up sleeves and a mandarin neck adds to the overall design. Moreover, it is tailored with care using a premium quality fabric, which will keep you at ease all through the day. 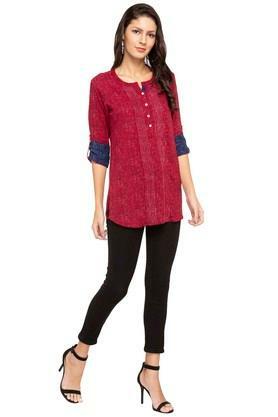 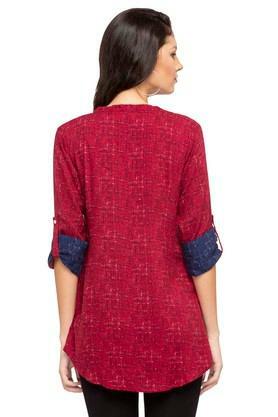 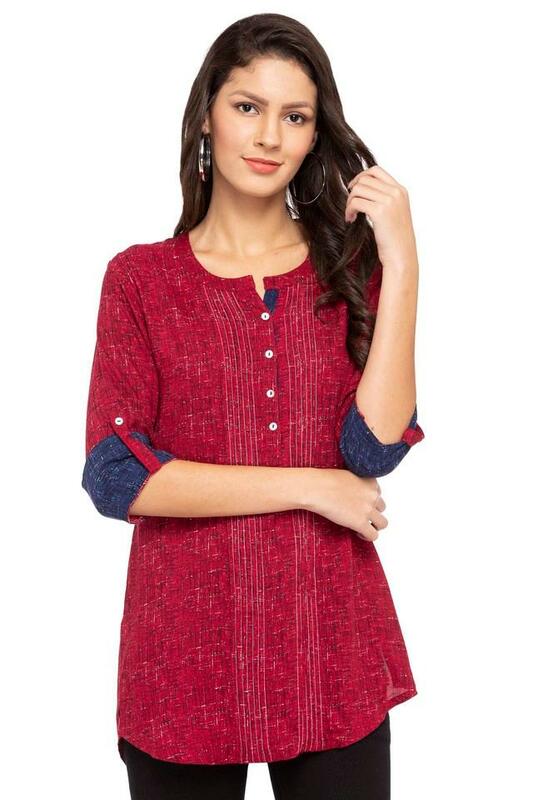 This classy kurta will be a handy pick for you to wear on any casual day out. Featuring a stylish design, it will look good with a pair of churidar pants and heeled sandals.